Third Row Seat, Onboard Communications System, Back-Up Camera, iPod/MP3 Input, Smart Device Integration, Dual Zone A/C, Keyless Start, Rear Air. SXT Plus trim, DB Black Clear Coat exterior. FUEL EFFICIENT 25 MPG Hwy/18 MPG City! READ MORE! KEY FEATURES INCLUDE All Wheel Drive, Rear Air, Back-Up Camera, iPod/MP3 Input, Onboard Communications System, Aluminum Wheels, Keyless Start, Dual Zone A/C, Smart Device Integration Rear Spoiler, MP3 Player, Keyless Entry, Privacy Glass, Child Safety Locks. OPTION PACKAGES QUICK ORDER PACKAGE 2BB SXT PLUS Engine: 3.6L V6 24V VVT UPG I w/ESS, Transmission: 8-Speed Automatic (850RE), Comfort Seating Group, ParkSense Rear Park Assist w/Stop, Power 4-Way Driver Lumbar Adjust, Integrated Roof Rail Crossbars, Bright Side Roof Rails, Power 8-Way Driver/Manual Passenger Seat, For More Info, Call 800-643-2112, No Satellite Coverage HI/AK/PR/VI/GU, 1-Year SiriusXM Radio Service, 2ND ROW FOLD/TUMBLE CAPTAIN CHAIRS 6 Passenger Seating, 2nd Row Mini Console w/Cupholders, 2nd Row Seat Mounted Inboard Armrests, 3rd Row Floor Mat & Mini Console, 3RD ROW SEATING GROUP 3rd Row Seat, 3rd Row Remote Headrest Dumping, 7 Passenger Seating, 2nd Row 60/40 Fold & Tumble Seat, BLIND SPOT & CROSS PATH DETECTION, TRANSMISSION: 8-SPEED AUTOMATIC (850RE) (STD), ENGINE: 3.6L V6 24V VVT UPG I W/ESS (STD). EXPERTS CONCLUDE KBB.com explains It's a pleasant place inside the 2019 Durango, with an air about it that seems higher in quality than most rivals. . Great Gas Mileage: 25 MPG Hwy. OUR OFFERINGS Central Maine Motors Auto Group has been proudly serving the community since 1935. We do not charge documentation fees, we provide a full tank of gas whether you choose to purchase a new or pre-owned vehicle as well as complimentary, lifetime Maine State Inspections. Please confirm the accuracy of the included equipment by calling us prior to purchase. Heated Seats, Moonroof, Nav System, iPod/MP3 Input, Dual Zone A/C, Remote Engine Start, Back-Up Camera, DRIVER CONVENIENCE GROUP, TRANSMISSION: 8-SPEED AUTOMATIC (850R... PLUS PACKAGE. GT trim, Pitch Black Clear Coat exterior CLICK ME! KEY FEATURES INCLUDE All Wheel Drive, Back-Up Camera, iPod/MP3 Input, Remote Engine Start, Dual Zone A/C. MP3 Player, Keyless Entry, Steering Wheel Controls, Electronic Stability Control, Bucket Seats. OPTION PACKAGES PLUS PACKAGE 4G LTE Wi-Fi Hot Spot, 1-YR SiriusXM Guardian Trial, Radio: Uconnect 4C w/8.4 Display, HD Radio, Shark Fin Antenna, 276 Watt Amplifier, Heated Steering Wheel, Dodge Performance Pages, SiriusXM Satellite Radio, For More Info, Call 800-643-2112, 1-Yr SiriusXM Radio Service, Bright Pedals, 6 Premium Alpine Speakers, Power Tilt/Telescope Steering Column, Heated Front Seats, Door Trim Panel w/Ambient Lighting, 8.4 Touchscreen Display, POWER SUNROOF, DRIVER CONVENIENCE GROUP Blind Spot & Cross Path Detection, Power Multi-Function Foldaway Mirrors, High Intensity Discharge Headlamps, BLACKTOP PACKAGE Black Grille w/Bezel, Wheels: 19 x 7.5 Black Noise Painted, Gloss Black I/P Cluster Trim Rings, Black Fuel Filler Door, AWD Rhombi Black Badge, GT Black Grille Badge, Challenger Blacktop Grille Badge, Rear Black Spoiler, UCONNECT 4C NAV W/8.4 DISPLAY SiriusXM Travel Link, 5-Year SiriusXM Travel Link Service, 5-Year SiriusXM Traffic Service, SiriusXM Traffic Plus, GPS Navigation, TRANSMISSION: 8-SPEED AUTOMATIC (850RE) (MAKE) (STD), ENGINE: 3.6L V6 24V VVT (STD). WHY BUY FROM US Central Maine Motors Auto Group has been proudly serving the community since 1935. We do not charge documentation fees, we provide a full tank of gas whether you choose to purchase a new or pre-owned vehicle as well as complimentary, lifetime Maine State Inspections. Please confirm the accuracy of the included equipment by calling us prior to purchase. Nav System, Moonroof, Heated Seats, Remote Engine Start, Onboard Communications System, Smart Device Integration, Dual Zone A/C, NAVIGATION & TRAVEL GROUP, PLUS GROUP, Back-Up Camera. SXT trim, Pitch Black Clear Coat exterior CLICK ME! KEY FEATURES INCLUDE All Wheel Drive, Back-Up Camera, Onboard Communications System, Aluminum Wheels, Remote Engine Start, Dual Zone A/C, Smart Device Integration, WiFi Hotspot Rear Spoiler, Keyless Entry, Remote Trunk Release, Child Safety Locks, Steering Wheel Controls. OPTION PACKAGES PLUS GROUP Black-Edged Premium Floormats, Heated 2nd Row Seats, Blind Spot Memory/Power/Heat Mirror, Heated Steering Wheel, Exterior Mirrors Courtesy Lamps, Auto Dim Exterior Driver Mirror, Power Tilt/Telescope Steering Column, Heated Front Seats, Illuminated Rear Cupholders, Auto Adjust In Reverse Exterior Mirrors, Premium-Stitched Dash Panel, Radio/Driver Seat/Mirrors Memory, Blind Spot & Cross Path Detection, Power Front Driver/Passenger Seats, Front Overhead LED Lighting, POWER SUNROOF, NAVIGATION & TRAVEL GROUP SiriusXM Travel Link, 5-Year SiriusXM Travel Link Service, 5-Year SiriusXM Traffic Service, SiriusXM Traffic Plus, Radio: Uconnect 4C Nav w/8.4 Display, DRIVER CONFIDENCE GROUP Bi-Function HID Projector Head Lamps, Universal Garage Door Opener, Blind Spot Power Heated Mirror, Blind Spot & Cross Path Detection, Exterior Mirrors Courtesy Lamps, Auto Dim Exterior Driver Mirror, TRANSMISSION: 8-SPEED AUTOMATIC (850RE) (STD), ENGINE: 3.6L V6 24V VVT (STD). VEHICLE REVIEWS It launches like a Saturn V rocket, makes glorious noises along the way, and has respectable handling prowess. Around town, the big Dodge is respectably maneuverable, and there's never a lack of power on long highway grades. -Edmunds.com. Please confirm the accuracy of the included equipment by calling us prior to purchase. 3rd Row Seat, Heated Seats, Keyless Start, Onboard Communications System, Smart Device Integration, Dual Zone A/C, iPod/MP3 Input, BLACKTOP PACKAGE. SXT Plus trim, White Knuckle Clear Coat exterior. EPA 25 MPG Hwy/18 MPG City! CLICK ME! KEY FEATURES INCLUDE All Wheel Drive, Rear Air, Back-Up Camera, iPod/MP3 Input, Onboard Communications System, Keyless Start, Dual Zone A/C, Smart Device Integration Rear Spoiler, MP3 Player, Privacy Glass, Keyless Entry, Child Safety Locks. OPTION PACKAGES QUICK ORDER PACKAGE 2BB SXT PLUS Engine: 3.6L V6 24V VVT UPG I w/ESS, Transmission: 8-Speed Automatic (850RE), Comfort Seating Group, ParkSense Rear Park Assist w/Stop, Power 4-Way Driver Lumbar Adjust, Integrated Roof Rail Crossbars, Bright Side Roof Rails, Power 8-Way Driver/Manual Passenger Seat, For More Info, Call 800-643-2112, No Satellite Coverage HI/AK/PR/VI/GU, 1-Year SiriusXM Radio Service, POPULAR EQUIPMENT GROUP Heated Front Seats, Power Liftgate, Heated Steering Wheel, BLACKTOP PACKAGE Body Color Wheel Lip Moldings, Wheels: 20 x 8.0 High Gloss Black Aluminum, Tires: 265/50R20 BSW AS LRR, LED Daytime Running Headlamps, Body Color Shark Fin Antenna, Dual Rear Exhaust w/Bright Tips, Gloss Black Badges, Body Color Sill Molding, Black Headlamp Bezels, Delete Roof Rack, Body Color Front Fascia, Body Color Rear Fascia, Gloss Black Exterior Mirrors, 3RD ROW SEATING GROUP 3rd Row Seat, 3rd Row Remote Headrest Dumping, 7 Passenger Seating, 2nd Row 60/40 Fold & Tumble Seat, ENGINE: 3.6L V6 24V VVT UPG I W/ESS (STD), TRANSMISSION: 8-SPEED AUTOMATIC (850RE) (STD). EXPERTS ARE SAYING It's a pleasant place inside the 2019 Durango, with an air about it that seems higher in quality than most rivals. -KBB.com. Great Gas Mileage: 25 MPG Hwy. OUR OFFERINGS Central Maine Motors Auto Group has been proudly serving the community since 1935. We do not charge documentation fees Please confirm the accuracy of the included equipment by calling us prior to purchase. 3rd Row Seat, Heated Seats, Rear Air, Back-Up Camera, iPod/MP3 Input, Keyless Start, Onboard Communications System, 3RD ROW SEATING GROUP. SXT Plus trim, Billet Clear Coat exterior. FUEL EFFICIENT 25 MPG Hwy/18 MPG City! CLICK NOW! KEY FEATURES INCLUDE All Wheel Drive, Rear Air, Back-Up Camera, iPod/MP3 Input, Onboard Communications System, Aluminum Wheels, Keyless Start, Dual Zone A/C, Smart Device Integration. Rear Spoiler, MP3 Player, Privacy Glass, Keyless Entry, Child Safety Locks. OPTION PACKAGES QUICK ORDER PACKAGE 2BB SXT PLUS Engine: 3.6L V6 24V VVT UPG I w/ESS, Transmission: 8-Speed Automatic (850RE), Comfort Seating Group, ParkSense Rear Park Assist w/Stop, Power 4-Way Driver Lumbar Adjust, Integrated Roof Rail Crossbars, Bright Side Roof Rails, Power 8-Way Driver/Manual Passenger Seat, For More Info, Call 800-643-2112, No Satellite Coverage HI/AK/PR/VI/GU, 1-Year SiriusXM Radio Service, POPULAR EQUIPMENT GROUP Heated Front Seats, Power Liftgate, Heated Steering Wheel, TRAILER TOW GROUP IV Rear Load Leveling Suspension, Trailer Brake Control, 7 & 4 Pin Wiring Harness, Class IV Receiver Hitch, Steel Spare Wheel, 180 Amp Alternator, Heavy Duty Engine Cooling, Full Size Spare Tire (TBB), 3RD ROW SEATING GROUP 3rd Row Seat, 3rd Row Remote Headrest Dumping, 7 Passenger Seating, 2nd Row 60/40 Fold & Tumble Seat, BLIND SPOT & CROSS PATH DETECTION, TRANSMISSION: 8-SPEED AUTOMATIC (850RE) (STD), ENGINE: 3.6L V6 24V VVT UPG I W/ESS (STD). EXPERTS RAVE KBB.com explains It's a pleasant place inside the 2019 Durango, with an air about it that seems higher in quality than most rivals. . Great Gas Mileage: 25 MPG Hwy. 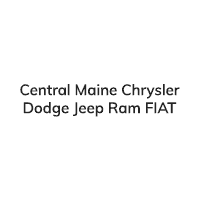 WHO WE ARE Central Maine Motors Auto Group has been proudly serving the community since 1935. We do not charge documentation fees, we provide a full tank of gas whether you choose to purchase a new or pre-owned vehicle as well as complimentary Please confirm the accuracy of the included equipment by calling us prior to purchase. NAV, Sunroof, Heated Seats, Back-Up Camera, Onboard Communications System, WiFi Hotspot, Dual Zone A/C, Remote Engine Start, All Wheel Drive, DRIVER CONFIDENCE GROUP, PLUS GROUP. White Knuckle Clear Coat exterior, SXT trim. AND MORE! KEY FEATURES INCLUDE All Wheel Drive, Back-Up Camera, Onboard Communications System, Aluminum Wheels, Remote Engine Start, Dual Zone A/C, WiFi Hotspot, Smart Device Integration. Remote Trunk Release, Keyless Entry, Child Safety Locks, Steering Wheel Controls, Electronic Stability Control. OPTION PACKAGES PLUS GROUP Black-Edged Premium Floormats, Heated 2nd Row Seats, Blind Spot Memory/Power/Heat Mirror, Heated Steering Wheel, Exterior Mirrors Courtesy Lamps, Auto Dim Exterior Driver Mirror, Power Tilt/Telescope Steering Column, Heated Front Seats, Illuminated Rear Cupholders, Auto Adjust In Reverse Exterior Mirrors, Premium-Stitched Dash Panel, Radio/Driver Seat/Mirrors Memory, Blind Spot & Cross Path Detection, Power Front Driver/Passenger Seats, Front Overhead LED Lighting, TECHNOLOGY GROUP Lane Departure Warning Plus, Auto High Beam Headlamp Control, Rain Sensitive Windshield Wipers, Advanced Brake Assist, Full Speed FWD Collision Warn Plus, Adaptive Cruise Control w/Stop, POWER SUNROOF, ALPINE AUDIO GROUP W/SUBWOOFER 506 Watt Amplifier, Trunk Mounted Subwoofer, 9 Premium Alpine Speakers, Surround Sound, BLACKTOP PACKAGE Wheels: 19 x 7.5 Black Noise Painted, Dodge Grille Badge, Gloss Black I/P Cluster Trim Rings, Satin Black Charger Decklid Badge, AWD Rhombi Black Badge, Black 1-Piece Performance Spoiler, NAVIGATION & TRAVEL GROUP SiriusXM Travel Link, 5-Year SiriusXM Travel Link Service, 5-Year SiriusXM Traffic Service, SiriusXM Traffic Plus, Radio: Uconnect 4C Nav w/8.4 Display, DRIVER CONFIDENCE GROUP Bi-Function HID Projector Head Lamps, Universal Garage Door Opener, Blind Spot Power Heated Mirror, Blind Spot & Cross Path Detection Please confirm the accuracy of the included equipment by calling us prior to purchase. Heated Leather Seats, 3rd Row Seat, Sunroof, Navigation, Captains Chairs, All Wheel Drive, Alloy Wheels, SAFETY/SECURITY & CONVENIENCE GROUP, PREMIUM GROUP. GT trim, Blu by You Pearl Coat exterior. EPA 25 MPG Hwy/18 MPG City! READ MORE! KEY FEATURES INCLUDE Leather Seats, Third Row Seat, All Wheel Drive, Power Liftgate, Rear Air, Heated Driver Seat, Heated Rear Seat, Back-Up Camera, Aluminum Wheels, Dual Zone A/C, Heated Seats, Heated Leather Seats Rear Spoiler, Remote Trunk Release, Keyless Entry, Privacy Glass, Child Safety Locks. OPTION PACKAGES PREMIUM GROUP SiriusXM Travel Link, Black Roof Rails, 5-Year SiriusXM Travel Link Service, 5-Year SiriusXM Traffic Service, 1-Year SiriusXM Guardian Trial, HD Radio, SiriusXM Traffic Plus, Radio: Uconnect 4C Nav w/8.4 Display, Beats Premium Audio System, For Details Visit DriveUconnect.com, Integrated Roof Rail Crossbars, 506 Watt Amplifier, Power Sunroof, SAFETY/SECURITY & CONVENIENCE GROUP Low Beam HID Headlamps, Auto High Beam Headlamp Control, Power Tilt & Telescopic Steering Column, Cargo Compartment Cover, Rain Sensitive Windshield Wipers, Automatic Headlamp Leveling System, Blind Spot & Cross Path Detection, 2ND ROW FOLD/TUMBLE CAPTAIN CHAIRS 6 Passenger Seating, 2nd Row Mini Console w/Cupholders, 2nd Row Seat Mounted Inboard Armrests, 3rd Row Floor Mat & Mini Console, TRAILER TOW GROUP IV Rear Load Leveling Suspension, 7 & 4 Pin Wiring Harness, Class IV Receiver Hitch, Steel Spare Wheel, Heavy Duty Engine Cooling, Full Size Spare Tire, ENGINE: 3.6L V6 24V VVT UPG I W/ESS (STD), TRANSMISSION: 8-SPEED AUTOMATIC (850RE) (STD). VEHICLE REVIEWS Edmunds.com's review says Families who spend a lot of time in the car would be wise to consider the road-trip-ready Durango. Our highway testing showed a quiet, comfortable vehicle with supportive seats. Impressive.. Great Gas Mileage: 25 MPG Hwy. Please confirm the accuracy of the included equipment by calling us prior to purchase.